LIQUI MOLY, an Ulm, Germany-based manufacturer of motor oil, additives and other aftermarket products, said it set a company record for monthly sales in October. LIQUI MOLY’s October sales of €53.8 million (approximately $61.2 million) marked the strongest month in company history and a 34 percent year-over-year increase, according to the company. Prost attributed much of the company’s success to its diverse product portfolio. “You simply can’t have an unbalanced portfolio, because the demand for certain products may suddenly drop off,” he said. Among the measures LIQUI MOLY has taken to grow its sales in uncertain economic times is increasing its export business. 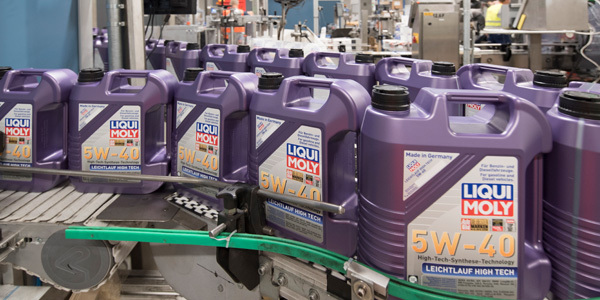 Although LIQUI MOLY is growing in its home market, “growth is only possible there through competitive displacement,” the company noted. Other regions and countries offer far more potential. LIQUI MOLY sells its products in Mali, and even in Yemen. “Outside of the direct war zone, there’s such a thing as a normal life,” Prost added. The company admitted it will be hard to top October’s sales figures. “Experience shows that in November and December, we tend to achieve moderate figures,” Prost said. Nevertheless, Prost said he is confident the company will hit €500 million in sales for the year, similar to its results in 2017.